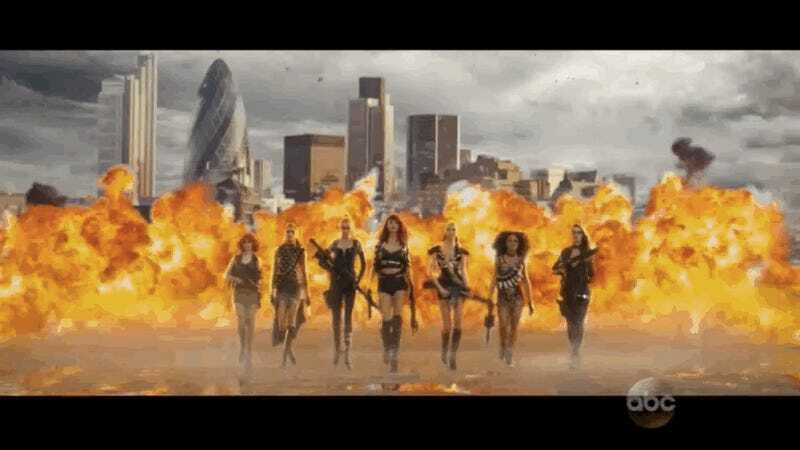 Taylor Swift’s “Bad Blood” music video finally premiered tonight. And there are so many pop culture references, you’ll wonder if you actually saw them all. Up at top is Taylor Swift’s entrance into her own video, in a move she learned from Black Widow, obviously. First off, are our ears deceiving us, or did they give the chorus of this song the Game of Thrones treatment at the beginning? Either that, or Joseph Kahn and Tarantino are watching all the same films. And then, Rocky III style freeze frame ending? There is a lot going on, and we definitely missed some stuff. Let us know in the comments what references you caught.